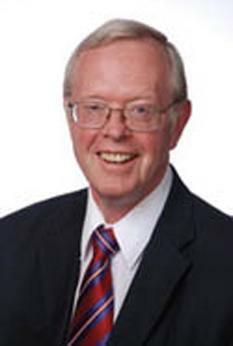 Memorial services for Mark McConkie, 69, professor emeritus in the School of Public Affairs, will be at 11 a.m., June 25, at The Church of Jesus Christ of Latter-day Saints, 150 Pine Ave. Colorado Springs, Colorado, 80906. He died June 20, 2018, after a brief illness. McConkie published more than 100 scholarly publications and presentations in both nationally and internationally scholarly forums, and consulted for more than 40 Fortune 500 companies. He was a three-time recipient of the Leadership Award from the International Conference on Advances in Management, where he served on the board of directors for more than a decade. McConkie was the 2010 co-recipient of The Douglas McGregor Award for the best article in The Journal of Applied Behavioral Science. McConkie retired from UCCS in 2016. The School of Public Affairs named its annual leadership conference in honor of him for mid-to-senior level managers at government and non-profit organizations to share best practices. He continued to conduct research in organizational behavior and develop, management development, ethics and leadership, management history and international management. Mark Lewis McConkie, son of Bruce R. and Amelia McConkie, passed away on June 20, 2018. He died with his wife (Mary Ann Taylor) and his nine children at his side. Mark was born on June 29, 1948 in Salt Lake City. He knew that growing up in his parents’ home–where love and the teachings of Christ were the motive force–was one of his greatest blessings. He stood on the shoulders of giants. He graduated from West High before serving a mission for the Church of Jesus Christ of Latter-day Saints in Argentina. When he returned he attended Brigham Young University. There he earned the hand of Mary Ann Taylor and two degrees. He received his doctorate from the University of Georgia, and then spent the next 41 years teaching at the University of Colorado at Colorado Springs. In that capacity he produced over a hundred scholarly publications and presentations in both national and international scholarly forums. His was an inquisitive and capable mind, and he loved filling it with poetry, music, history, and literature. The bulk of his attention went to the restored gospel of Jesus Christ, which he taught by precept and example. He authored four books, preached thousands of sermons, and ministered to any within the reach of his long arms. His greatest work was his family; his greatest support his devoted wife. Together they are the parents of nine children: Mark (Charlotte), Taylor (Wendy), Matthew (Shelley), David (Ramona), Ann Marie Giles (Matthew), Rebecca Smylie (Levi), Sara Lohmeier (Matt), Michael (Lauren) and Daniel (Sarah). They are expecting their 45th and 46th grandchildren this summer. He will be remembered for his certitude, his integrity, his quick wit and cheerful disposition. He knew how to be happy, and his legacy-encapsulated by a kiss on the forehead and the admonition to “carry on”-continues to inspire those who now stand on his noble shoulders. Memorial services will be on Monday, June 25, at 11 a.m., at the Church of Jesus Christ of Latter-day Saints, 150 Pine Avenue, Colorado Springs. Visitations will be held on Sunday, June 24, from 7:00 to 9:00 p.m. and Monday June 25, from 9:30 to 10:30 a.m. at the same location. He will be interred in the Salt Lake Cemetery next to his family. My deepest condolences to you and yours. He was an amazing man and professor. May your family find comfort through Christ may He hold you tightly during your time off loss. He is a beautiful man and brilliant mind. I was blessed to have been a student of his. He was truly a masterpiece of humanity. I met Dr. McConkie in 1982 when I was attending UCCS graduate school just prior to being assigned to the faculty at the United States Military Academy, West Point, New York. Dr. McConkie was my professor for many classes, chairperson for my master’s thesis, a mentor and my friend. I am saddened to have not seen him in these past 36 years. However, I always thought of him, Mary Ann and the children when Army would play BYU in football. Now, thinking of it, I think Dr. McConkie was way ahead in that win/loss column. The more I am writing, the more difficult it is to find words that have true or significant meaning in these types of messages, but rest assured Mary Ann that I have you and the children in our thoughts and wish you the strength that one needs at these points in our lives. May God bless all of you. I love Brother and Sister McConkie! I’m so grateful for their wonderful example to me and how we need to follow our Savior Jesus Christ! I will never forget his testimony and knowledge of the prophet Joseph Smith. We are so sorry for the passing of dear Mark McConkie and pray for Mary Ann and their family at this time. He taught my husband and I in religion class when we were first married. And just earlier this year he shared his testimony of the gospel and Joseph Smith with the youth, specifically my daughter. His last words to me were, “Keep being a good parent!” And I’m so grateful for that! His life was a life truly dedicated to the Lord! He and I were new missionaries at the Language Training Mission in 1967.I remember him looking for his scriptures that he had misplaced and me finding them. How he thanked me for that! Living here in Colorado gave me the opportunity to say hello to him from time to time and he still remembered that incident! Great man of God. Mary Ann, Brien and I are so sorry for your loss. We read about it in the paper today, and we are saddened. Mark was a great great man. While I was on my mission from 1963-1965 in Australia, Bruce R. McConkie was my Mission President. Mark was a young man at that time and 16 years old. At that time, missionaries that worked in the office lived in the Mission Home with the Mission Presidents family. The Missionaries lived upstairs on the east end above the office. The Mission President and his family on the other end. I was there 10 1/2 months working in the office and I got to know the family very well. Mark was a very well-rounded teenage boy. He had lots of fun playing basketball with the missionaries and also he was very faithful in attending all of his meetings. Most of the time he rode to church with me. Every day when he came home from school, he would sit across the desk from me in my office and do his homework and then read the scriptures. He inspired me when he read the entire scriptures (The Bible, The Book of Mormon, The Doctrine and Covenants and The Pearl of Great Price), to see how many times God the Father appeared to man. He could have asked his Father as I would have done, but he was finding out for himself. He is my hero and a great example. He has accomplished so much good in the world in all his work and leadership. My heartfelt prayers will be with the family in the passing of this fabulous man. Mary Ann, It broke my heart to hear from the girls of Mark’s passing. My thoughts and prayers are with you and the family at this time. I have always appreciated you two when I lived in the Springs. I wish I was still there/closer to give you a comforting hug.